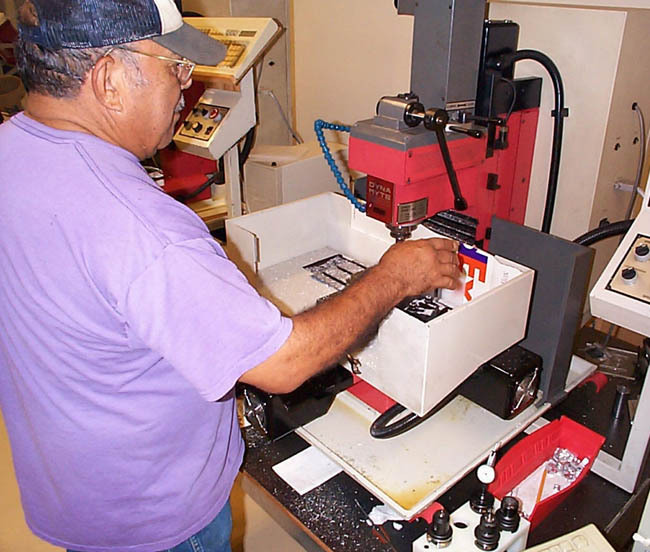 We have two manual mills we do prototype work on. These mills are equipped with quick change tooling so we short run production with these machines. We have two small vertical spindle CNC machines that we do most of our short run production on especially complex and close tolerance work. We have two horizontal mills that we use to cut tubing and retangular stock to finished lengths. One of these machines is capable of extremely close tolerances on length. We use it to produce the needle for the CP nozzles, no picture are available as there are trade secrets involved.